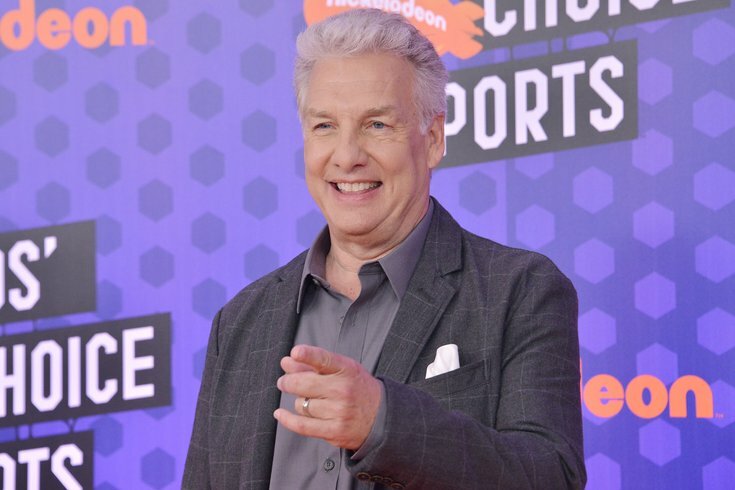 Marc Summers arrives at the Nickelodeon's Kids’ Choice Sports 2018 held at the Barker Hangar in Santa Monica, CA on Thursday, July 19, 2018. Hey, '90s kids! Prepare to freak out. Nickelodeon's greatest game show is coming to Philly. Inspired by "Double Dare," "Double Dare Live" features two teams comprised of selected audience members competing to win prizes by answering brain-bending trivia questions, completing messy physical challenges and ultimately facing the legendary obstacle course. The live show is hosted by original host (and Philly resident) Marc Summers. There will be slime. There will be pies in the face. And there will be a giant nose with boogers. The show will be at the Kimmel Center's Merriam Theater on Thursday, March 28, and Friday, March 29. Tickets are now on sale. If you'd like to be considered as a contestant for "Double Dare Live," then complete the Official Rules and Waiver Form beforehand. Must be 10 years or older to be eligible. Tickets for the show start at $39. There's also a VIP package available for super fans who want to meet Summers.